2016 Well done to Rebecca Robinson, winner of 2016 Alan Fennell Trophy. 2016 Stocksbridge Pentaqua 50m Meet April 23rd 2016. A great competition for Glossop swimmers to swim long course in an International Arena. Click Entry for more information. We are expecting this meet to fill up quickly so replies back to glossopentries@gmail.com by the 18th February. 2015 Distance Gala 2016,Click Here for information. 2015 We have some Gala entry forms with no names on. If your child has entered and has the following date of birth can you please let a coach know ASAP. 2015 All Glossop and New Mills Coaches. An Equity and Coaching seminar is being held at Glossop cricket club, Saturday 12th September at 10am, A coaches meeting will be held after the seminar. 2015 Do you Swim at National or above level and want financial help with your swimming, Derbyshire Sport Swimming Bursaries are currently available, click the Link for more information. 2015 World Record Series Swim Coaching 28th & 29th March 2015, Repton school Derbyshire Click Here for further information. 2014 Sputnik Gala series 2015 at Macclesfield, suitable for all swimmers up to 14 years of age. Can all interested swimmers contact Nicola Bamber Click Here for more information. 2014 2014 Manchester non National Open Swimming Meet. Want to swim in the 2002 Commonwealth Games 50m pool . 2014 Point score dates now available. Click Here. 2013 Coach Deb’s team win 2013 Annual Teachers Gala. Well done to all who took part. 2014 Calling all club members. How far can you swim in an hour? Do you want to be involved in the 2014 Postal Gala. Click Here for further information. You can find out more about the Postal Gala event Here. 2013 2013 Annual presentation and Disco, 14th December at Glossop Cricket Club Click Here for further information.  2013 Glossop Swimming Club has unfortunately had to withdraw from the Vice Presidents Gala planned for Sunday 13th October at Broughton Swimming Pool. 2013 Remaining point score dates published Click Here Warm up starts 7:15pm. 2013 Manchester & District 2013 Autumn Swimming Meet Click Here for entry forms and event information. Forms to Liz Kearslake by 19th August. 2013 Coach Harriet's team win teachers Gala. Well done to everyone who took part. 2012 Coach Jackie’s team win Annual Coaches Gala. Over 80 children attended, what was a fantastic competition. Well done to all who took part. 2012 The club will be closed on the 27th January 2012 due to Annual Scout Gala. 2011 Latest 2011 Annual Gala attendance figures, (up to the end of August) Click Here. 2011 Final point score of 2011 will be held on Friday 23rd September. 2011 July point score date changed from Friday 22nd July to Friday 15th July. 2011 Club Shop now carries a stock of bags and popular kit sizes. For name printing please allow one week. 2011 There will be no swimming club sessions on the 28th June due to the club hosting a Manchester & District League Gala. 2011 Latest 2011 attendance figures Click Here. 2011 Next Point score Friday April 8th 2011. 7:15 PM start. No widths session will be held on this night. 2011 Both New Mills training sessions are cancelled on Saturday 26th March. 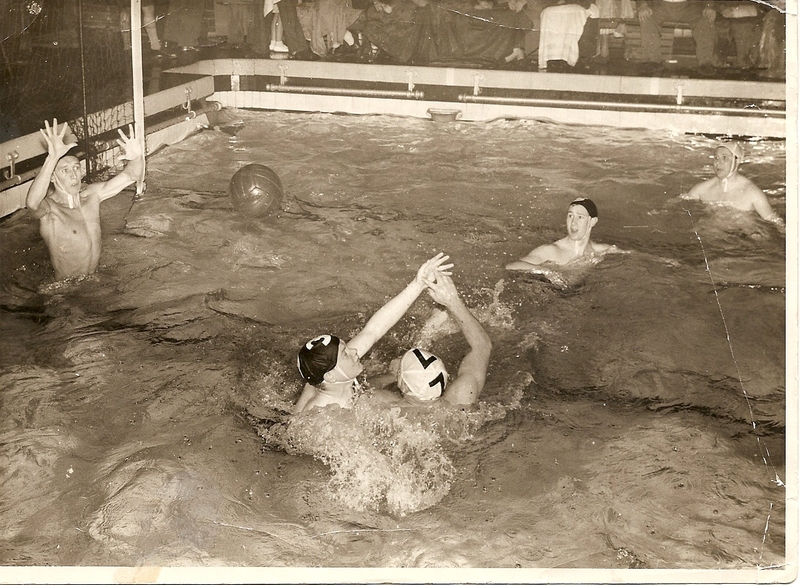 2011 Important Notice To All Swimmers: Club Membership Renewals are now due. Membership renewal must be submitted to Liz before March 5th 2011 . Click Here for forms and fees. 2011 First Point score of 2011 will be held on Friday 4th March. For further details please check the Club Events tab. There will be no widths session on this night.36. 2011 Gala sub committee meeting 8pm Thursday 10th March at the George Hotel Glossop. 2011 Sharks competition calendar now available under High Peak Sharks menu. 2011 M&D fixtures now available in External Events menu and calendar. 2011 M&D Team Gala at home, Tuesday February 8th, check team selection sheet at club. 2011 There will be no swimming club sessions on Tuesday February 8th 2011 due to the club hosting a Home venue M&D Team Gala. 2011 GASC Teachers meeting to be held at St Philip Howard School at 7.30pm on 7th February 2011. 2011 Annual General Meeting is to be held at the George Hotel Glossop on Thursday 3rd February 2011 at 8pm. Come along and have a say in your club. 2011 The club tryout night planned for the 14th January 2011 has been cancelled due to it clashing with the Manchester & District Age Group Championships. 2010 New club training times will start at New Mills in the new year Click Here For details. 2010 Annual Gala photos available in Gallery. 2010 Annual presentation night tickets now available at club. Adults £6, Children £4, Family 2 x Adults & 3 x Children £20. 2010 Annual presentation night 10th December , Glossop Cricket Club at 8pm. 2010 The Teachers Gala organised for the 3rd December has been cancelled. 2010 The Style Gala on the 24th November has been cancelled until the New Year, new date to be confirmed. 2010 Calling all members, please keep this web site up to date. Please submit any items for the web site, regarding the club or its swimmers via the ‘contact us’ page. 2010 Scouts Gala will take place on 19th November, there will be no club swimming on this date. 2010 Teachers Gala date confirmed as the 3rd December. 2010 Can all trophy winners from last years Gala return them to Jackie Christie Lowe at the club as soon as possible. 2010 Final Point score of 2010 this Friday 22nd October. Start time 7.30pm. There will be no widths session on this night. 2010 Good luck to all swimmers at this weekends (16th October) Manchester & District Swimming Championships. 2010 Gala qualification, club attendances 2010 Click here. 2010 M&D Division 2 Team Final is to take place on Sunday 26th September at Broughton Pool. 2010 The club re-opens for training on Tuesday 7th September. 2010 All swimmers competing in the 2010 Manchester & District Swimming Championships. Entry forms are to be returned to Liz before 10th September. 2010 M&D Division 1 Final is to take place on the 5th September at Broughton Pool. 2010 All swimmers competing in the M&D Division 1 final on Sunday 5th Sept. The team coach will leave Glossop town hall car park at 1 pm prompt. Please inform Jason or Liz if you are making your own way there. 2010 The Club closes on Friday 13th August, after training. Have a good break. 2010 July Point score date changed to July 16th. 2010 June Point score results now available in Club Events area.